In this article we explore the Event Sourcing Pattern and its cousins (Retroactive Event, Parallel Models and Materialised View) using a Haskell model to investigate the implications of implementing said patterns and the challenges that arise from their use. In particular, we note that the Retroactive Pattern is difficult to implement in an efficient manner whenever the possibility of inserting an arbitrary number of "missed" events between existing events is desirable. The Event Sourcing Pattern (Fowler, 2005a; Young, 2010, p. 17) is typically used in conjunction with the CQRS Pattern (Homer et al., 2014, p. 45) to form the “CQRS/ES” superpattern . Event Sourcing is about storing an application’s state as a sequence of events—that reproduce the state when replayed in the right order—as opposed to simply storing the “current state”. The reason as to why CQRS and ES go “hand in hand” is that CQRS suggests that updates should be modelled as commands, which are similar to events although they depict an intention rather than an actual outcome. Introducing Event Sourcing creates new problems for which new solutions are required. For instance, events may be missing or wrong. In this case, the Retroactive Event Pattern is proposed by Fowler (2005b). Likewise, Event Sourcing also lends itself to new interesting features such as Parallel Models, also proposed by Fowler (2005c). In this article, we will explore the Event Sourcing, Retroactive Event and Parallel Model patterns using a minimal Haskell model. In order to gain a better understanding of the problem space, a rather detailed scenario is presented based on the modelling of an airline’s miles loyality programme. We will first provide a general business scenario as a narrative and then support it with as Haskell model to serve as the formal problem description. Later, in the Solution section, we will rexamine the model by introducing the Event Sourcing pattern. Jane is enrolled on the Super Miles programme operated by Van Damme Airlines, headquartered in Brussels. The Super Miles programme allows passengers to upgrade to business class in exchange of 10,000 miles. Van Damme Airlines is currently running a promotion which doubles the miles of every flight following a London (LHR) -> Brussels (BRU) connection in order to prompt passengers to take long haul flights from Brussels rather than from London. Jane has just arrived to Bangkok (BKK) from London (LHR) via Brussels (BRU) for business—really, she is not headed to Khao San Road1. 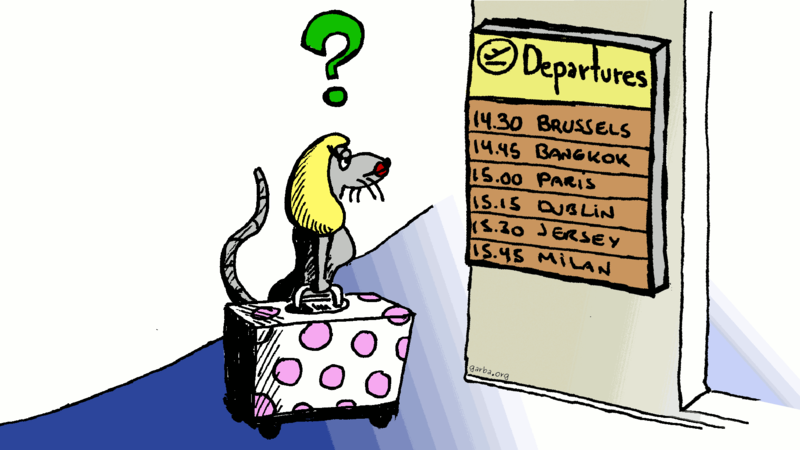 Knowing that the distance between Brussels and Bangkok is about 5,000 miles, Jane expects to have accumulated over 10,000 miles (with the Super Miles promotion) so that she can return to London in business class after so many days of partying business meetings. “That’s not possible”, Jane complains and then explains the conditions under which the Super Miles promotion should have given her about double the quoted mileage. “Apologies for the mistake Madam. However, you only have 5947 miles after including the missing leg so you still haven’t got the necessary 10,000 miles required for an upgrade to business class”. The clerk replies: “That is looking too much ahead into the future. If you don’t get the necessary miles you can always top them up by taking one more flight”. It is a calculation way too complex for the Clerk to perform and the system does not allow to enter hypothetical routes either. Jane decides to never fly with Van Damme Airlines again. The above is an update function combined with the business rule. In the miles+multi*(distance route) formula, multi is always 1 (the exact number of miles is added) except in the case in which the last route is (LHR,BRU). The clerk is also unable to use the system to determine the implication of potential routes without updating the system itself when Jane asks about the best plan to gain sufficient miles to obtain her business class upgrade—this problem in particular is less obvious in our immutable functional model. The inability to correct the present state based on an event that should have happened in the past—a missed leg in a flight. The diffuculty in predicting a future state (number of available miles) based on a sequence of potential events from the current state onwards. The combination of Departure and Arrival events award miles whereas a MilesReward event subtracts miles from the balance. For now, let’s assume a Business Class upgrade reward identified by the BizClass value and Luxury Meal reward identified by the LuxuryMeal value. The latter is just for illustration and will not be used throughout the discussion. For simplicity, we are abstracting away from multiple accounts (we assume the model applies only to Jane’s account) and also from time other than “before” and “after”. We will now proceed to implement the Create, Delete and Update operations. “Read” is actually the most complex one in event sourcing so this will be a separate discussion. So far we have a neat sequence of events, but we do not have the balance of remaining miles which we did in the simpler model presented in the Problem section. This is what will solve in the next section. So far we have a list of events [Event] with departures and arrivals and what we want is the number of miles that have been accumulated—involved potential promotions such as the doubling of miles for any flight following a LHR -> BRU route. What is the total number of miles accumulated so far? What was the last departure airport? Do we have to double the miles for the current leg? Therefore, we define a function called updateState that takes a single event, a tuple which holds the answer to the above questions and that then returns another updated tuple. Int type that holds the multiplier to be applied to current leg. Normally it is 1 but it will be 2 (in order to double the miles) if the last leg was LHR -> BRU. We will now proceed to implement every “use case” when interpreting an event. Use Case 1: Departure from any airport. Use Case 2: Promotional LHR -> BRU route detected. In this case, the event is an arrival to BRU when the last departure airport was LHR. This use case has a two fold effect: it updates the balance with the distance between LHR and BRU using the current multiplier but it also sets the multiplier to 2 so that miles can be doubled in the next leg. Use Case 3: Arbitrary route detected. This is the detection of an Arrival event whenever a prior departure airport exists. In this case, the number of miles is calculated taking the Airport value from the Arrival event and that from the second element of the tuple. The multiplier is applied to the distance and then it is set to 1 in order to reset it to the default in case it was a different number before which would be the case if the LHR -> BRU leg was detected before. Use Case 4: Business Class upgrade applied. This involves subtracting 10,000 miles from the account. To avoid overcomplicating the model, we do not check whether there is sufficient balance to discount the 10,000 miles. Here we simply ignore the event and pass the state unchanged. The updateState only takes one Event value at a time, so we will apply it using foldr to an event list. This will result in applying updateState to every single state whilst also passing the state from one application to the next. It is also useful to obtain a “statement”, similar to a bank one so that we can see how each event affects the miles balance. First we create a general statement function which takes a list of events and returns a new list consisting of the same events but relating each one with the balance at the time of the event. We will now look at Jane’s problem using the new model based on Event Sourcing considering the Retroactive Event Pattern. Out-of-order events: those that have been received late and are therefore in the “wrong order”. This is indeed the case in our example when clerk has added the LHR -> BRU route when Jane was already in Bangkok. Rejected events: events that should not have been processed. For example, awarding Jane a Business Class upgrade when her account’s balance was zero. Incorrect events: probably valid event types but that carry invalid information. For example, recording the arrival airport as LHR rather than BKK. Furthermore, Fowler (2005b) mentions that dealing with retroactive events can be thought as three parallel models, one which represents the “incorrect reality” (the current model) such as that pertaining the Jane’s case, a “correct branch”, which represents the model had the events taken place as expected, and finally, the “corrected reality” which is simply the elevation of the “correct branch” model to an official, current status. As we can see, adding the LHR -> BRU leg late does not double the miles of the BRU -> BKK leg. So what we need to do here is place said events in the correct order. Here, the Retroactive Event pattern introduces a new problem: the insertion of an event between other two events. We can now appreciate the Miles Balance is correct since the BRU -> LHR leg has resulted in the doubling of the miles applicable to the BRU -> BKK leg. Unless we have a relatively small number of events—in the thousands rather than in the millions—this approach will be rarely practical. However, there is also the issue of having to identify events which requires some sort of temporary indexing property which uniquely identifies each event. Step Two: Increment the temporary ordering property to make room for the moved events—this is not trivial since we may not leave a sufficient gap to move all the events, we will explain this issue in the next section. Step Five: Drop the ordering property so that we end up simply with the new sequence of events. We see that in the case of rebuilding an event sequence, we will use an ordering property somehow even if it is temporarily. The actual algorithmic implementation can simply rely on counters and be “tail recursive” in spirit—it is not necessary to create a data structure of type [(Int,a)]. However, it is nevertheless an expensive computation specially in a production system in which events are likely to be persisted to disk. That events have a timestamp property. That the timestamp property is user-modifiable. That the order of events is determined by the timestamp property. First, we need to understand what happens when the command interface receives two events at exactly the same time. Would they be written with the same timestamp? The “order” imposed by the writer is arbitrary and may be undesirable; in other words, it may be useful to tell if two events have actually occurred “at once”. Depending of the timestamp resolution, too many events occurring at the same time could result in many events being artificially set to a time excessively distant into the future. Say for instance that the timestamp resolution is at the second level. If 65 events are received at once, five of them will have a timestamp as though they had taken place one minute later. This would be catastrophic in a low-latency trading system in finance, for instance. Thus, we see that in general, altering the timestamp property, if possible at all, comes with non minor trade-offs. This involves incrementing all the indices by a factor that allows sufficient space to place the events between two indexed elements. This is the approach we’ve taken in our Haskell model. If we were to use rational numbers, there is always room to place an extra number between two other numbers. This requires the ordering property to have two components. Native floating point types may be used—if their precision is well understood—instead. The indices for the above list would be equivalent to 3.0, 2.5, 2.0 and 1.0. The discussed solutions are from the point of view of trying to implement retroactive events on top of a conventional store such as a SQL RDBMS. When operating only inside of a programming language’s environment, algorithmically more efficient solutions such as double linked lists may be helpful. If the event store is “append only” as it is often referred as (Young, 2010, p. 32), then it may not actually be possible to modify the events that have been already been written. In this case, an alternative solution is to have a secondary stream of events that represent “overrides” to the primary one. The readEvents function has a overly simplistic implementation since it expects all changes to a given indexed event to be in the same order. If we wanted to do “changes of changes” we would need to maintain multiple change streams and apply them in tandem to the incorrect branch that they aim to fix before composing them with the next batch of changes. In other words, we are trying to find out whether a hypothetical sequence of events would lead to a given outcome; in this case, whether Jane would have accumulated 10,000 miles before arriving to Bangkok, and whether she would have 10,000 miles before departing from Bangkok in her way to London. We could iterate through all possible routes, but since we only have three airports, the possibilities aren’t too numerous. As per the above two reports, the direct route results in a negative miles balance if Jane happens to fly directly. This means she would not be able to upgrade to Business Class; instead, she requires to use the route with a change in Brussels, which triggers the miles doubling promotion. There are multiple applications for the Parallel Model pattern. The takeaway message here is that the rules that apply to the processing of events should not be hard coded into procedures that persist data. For example, in the case of calculating miles, it should be possible to do it on tentative routes and not only when the passenger effectively travels. According to Homer et al. (2014, p. 96), this pattern “helps to support efficient querying and data extraction, and improve application performance” by means of generating prepopulated views over the intended data in one or more data stores. This pattern does not contribute to the functional business problem suggested by the scenario we have presented. The idea here is that whenever a query is complex (e.g. there are multiple projections and join operations) we may persist a view which is the result of more complex operations which we then query in a more “shallow” and efficient manner. endTime `seq` putStr $ "Seconds: "
If it is often the case that passengers want to know about routes that take a given number of miles, we can generate a so-called materialised view that we can query directly rather than incurring the computation expensive change of exploring all possible route permutations for every query. putStrLn "Computing materialised view ..."
(length view) `seq` putStrLn $ "Done!" putStr "Enter the desired miles: "
_     -> putStrLn "No route found"
The Event Sourcing Pattern is useful to model state that results from the sequential evaluation of a series of events such as in the case of financial transactions. The pattern is more adequate (and sometimes even mandatory) in situations in which current events are evaluated by considering previous ones—apart from accumulator variables—as in our miles doubling promotion example. The construction and leverage of Parallel Models comes almost for free by the very nature of how data is modelled when applying the Event Sourcing Model. However, it is key that the evaluation of events can be performed upon arbitrary event streams. The Retroactive Event Pattern is problematic when it comes to the mechanics of “inserting an event in the past” due to the lack of an immediate obvious solution to the problem of creating unlimited, arbitrary intermediate events. In an “append only” event sourcing engine, this would not even be possible and a “compensating event” strategy would be required instead. Finally, we’ve seen that the Materialised View pattern addresses mainly a performance concern and it is fairly trivial to implement.